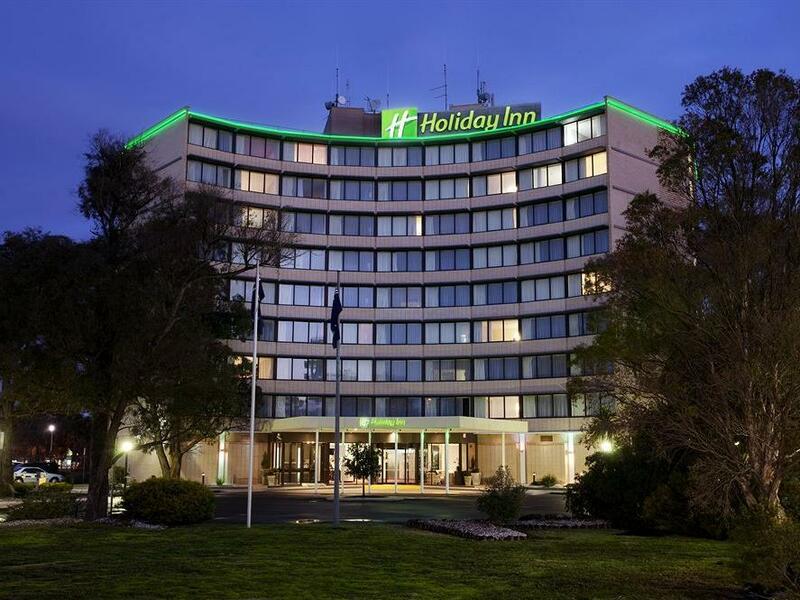 يقع Holiday Inn Melbourne Airport على بعد دقيقتين نقل مكوكي من المحطات، ويقدم غرفا عازلة للصوت، ومركز اللياقة البدنية، ومطعم وبار ومسبح في الهواء الطلق. تحتوي الغرف على جهاز تلفزيون LCD بقنوات فضائية ومكتب للعمل وميني بار. 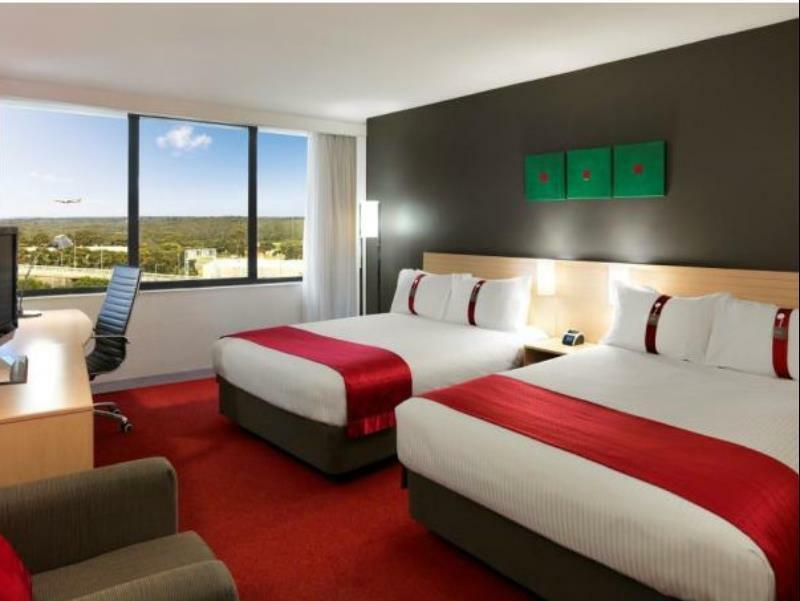 يقع Holiday Inn Melbourne Airport على مقربة من مجموعة من مناطق الجذب المحلية بما فيها ملعب غولف كيلور ومنتزه بريمبانك ومجمع التسوق DFO إسندون الواقع على بعد أقل من 15 دقيقة بالسيارة. 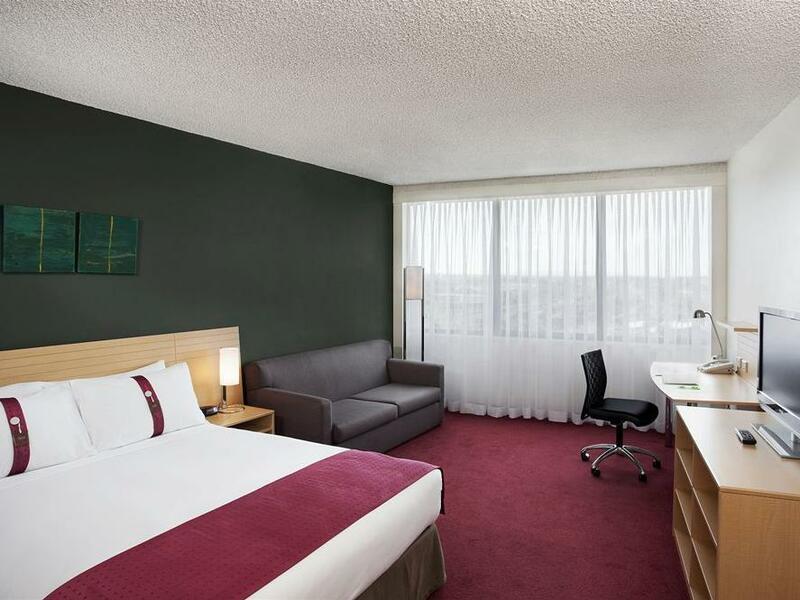 ويبعُد Holiday Inn Melbourne مسافة 22 كم عن وسط مدينة ميلبورن. تحتوي جميع الغرف في Holiday Inn Melbourne Airport على ثلاجة ومرافق صنع الشاي والقهوة، ويوفر الفندق خدمة الغرف على مدار الساعة وتوجد شاشات في اللوبي تعرض معلومات الطيران المباشرة ليلاً ونهارًا. يقدم مطعم Vargas المأكولات الاسترالية العصرية والنبيذ المحلي، فيما يقدم بار Vargas المشروبات والقهوة في أجواء مريحة. يُرجى العلم أن خدمة الانتقالات بالحافلة متاحة من صالات المطار إلى هوليداي إن بناءً على الطلب. For rates that include breakfast, please note that different policies and additional supplements may apply for extra guests. Please note that a 1.5% surcharge applies for payments made with all credit cards. It’s a holiday inn at the airport. That being said it was clean, staff were friendly and after a long flight it had everything you could possibly need. Highly recommended. Oh and you can walk there is less than 10 minutes through the car park outside the terminal. Located in walkable distance from the airport but they do provide shuttle service. Please remember to contact them beforehand for shuttle arrangement otherwise you will have to walk over yourself. Room is very huge for 2 people and is a good stopover for flights. 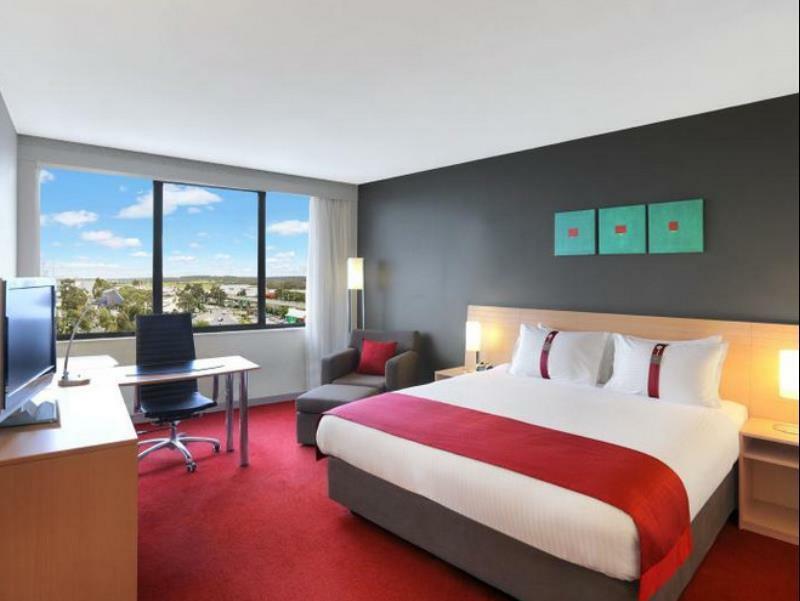 Holiday Inn Melbourne is a great place, with service station's and McDonald's just around the corners make it easy for my wallet, before oversea trips. Holiday Inn staff were great and the person who checked us in was helpful, patient (much needed after 30+ hrs travelling) and thorough. Some of the fixtures, esp in the bathroom could be improved/modernised, but the bed and pillows were heavenly and everything worked as it should. A brief stay in the hotel, not even able to enjoy their breakfast. The spot was convenient for morning flight & its 24hrs free airport shuttle is definitely a merit. The only one negative thing is they should have just finished the painting. Its smell do give a rough night. Always stay here when heading to the airport. Rooms are spacious, comfy and come with all the expected amenities and room facilities. Not the nicest rooms. Could do with a really good clean and proper paint, but so convenient. Could do with an update, but you know as soon as they do that the prices will go up with it. This is a hotel which wold benefit from a bit of investment, it is a bit old and it shows. That said, the soundproofing is good enough so that the planes do not disrupt someone's sleep and the restaurant is convenient and reasonably priced as long as you are not expecting a culinary experience. It is extremely close to the airport and this was the decisive factor for us. Close to airport though it has shuttle service to the airport every 15 min. Building may look really old but inside is well maintained and probably upgraded. Breakfast was fine though it seemed it could have been even better as there were different types of eggs we could have requested, which we only saw when we were almost done with the buffet spread. Couldn't ask for more for a night stay before flying off. Stayed one night before a flight to HCMC. Room was excellent, clean, comfortable and nice view. Hotel is close to Airport and staff were very friendly, happy to convey us to catch our flight in their mini bus. All in all a very good experience and highly recommended. Booked in and stayed the night before our flight to save the early morning rush. Courtesy bus to the airport drop off was good although could have been a little closer to the Jetstar drop off. Very clean rooms and extremely comfy bed. The early morning breakfast included was delicious although a few of us were lined up waiting for it to open so we could catch our flight. It’s the second time we have stayed the night before an early flight and it’s a great way to start the holiday in a relaxed way. If you have an early flight the next morning, this is a convenient and comfortable accommodation option, if not a little overpriced for what it is. Not quite as close to the airport as we'd imagined (be mindful of this if you have a lot of luggage to tote as the airport is a good 5-10 minute walk away). Be sure to book the early morning shuttle bus well before your stay if you can, the shuttle from the hotel isn't frequent and books out early. I have stayed here a number of times when travelling early the next morning from the airport. The hotel is fine but I think it is getting older now and in a bit of a need for refurbishment. Recommended for people transiting at Melbourne airport or if you have an early morning flight. The location and the accommodation were great. Not a great variety of food in the restaurant but it was very good. Stayed here after returning from overseas. This hotel is perfect if you have an early morning flight... clean hotel... free 24hours shuttle van to the airport... also airport is 7 minutes walk away.